$18 billion Australian software company Atlassian announced Friday it would add a free plan and cut product prices for Opsgenie, an IT automation service that it acquired for $295 million in October. Beyond the price cuts, Atlassian is also giving Opsgenie a rebranding, as part of a marketing push. Atlassian isn’t worried about the drastic price cut hurting its profits — the company believes that Opsgenie will reach new customers who otherwise would never have purchased IT management services because it was too expensive. $18 billion Aussie software giant Atlassian wants to get IT management services into the hands of more customers, so now it’s slashing the software prices from its newest acquisition. On Friday, Atlassian announced it would add a free tier and reduce prices for its OpsGenie service by 35%, in the hopes that it will attract a broader range of customers who otherwise might not have paid for IT management services because they were too expensive. Opsgenie, an acquisition that Atlassian closed on Oct. 2 for $295 million, helps businesses manage alerts from monitoring tools, schedule on-call employees, and coordinate a way for people to respond to incidents in a timely manner. Those are all useful tools for companies that try to streamline their operations and make sure that their apps, software, and services, stay up and available 24/7. 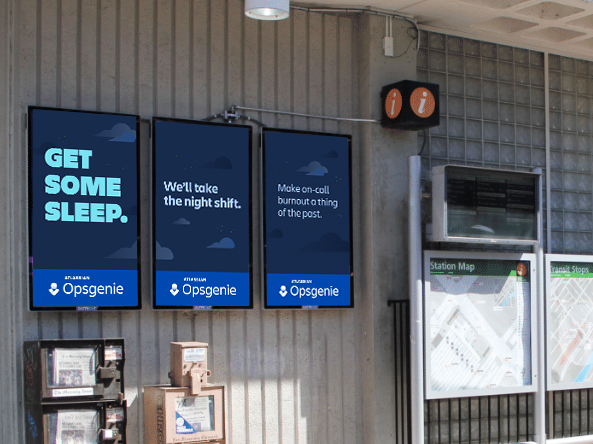 Along with these changes comes a rebranding for Opsgenie to better match with the aesthetic of its new corporate parent, including a brand new logo and a refreshed color scheme that’s heavy on blues. And the company, previously known as OpsGenie, is swapping the capital “G” for a lowercase one. “We were pretty frequently running into situations where the price was an obstacle for the customer to adopt it,” Berkay Mollamustafaoglu, co-founder and head of Opsgenie at Atlassian, told Business Insider. Mollamustafaoglu estimates that the new pricing is a third of the prices from competing vendors on the market, including PagerDuty and AlertOps. The free plan will also allow new customers to get their feet wet when trying out Opsgenie’s services before they decide to upgrade to more expensive plans. And like all Atlassian software, Opsgenie isn’t sold through a traditional enterprise software sales force; you get it directly from Atlassian’s website. And downtime costs companies money — some estimate that businesses lose $700 billion a year from network, server, and application outages. An advantage that comes with Atlassian’s direct-to-customer model, says Simons, is that it simply gives bulk discounting for large orders. Prices will also decrease for existing Opsgenie customers starting Friday, and Atlassian expects that its existing customers will start adopting Opsgenie’s services. With this significant price decrease, Simons says he isn’t worried about losing revenue because Opsgenie will be tapping into completely new customers who previously weren’t willing or able to pay for incident management services before. He’s even seen businesses that still respond to outages and incidents by looking up employee’s names and numbers on a spreadsheet to see who’s responsible for what, rather than having a more sophisticated and modern way to address issues as they arise.